Northside Motorcycle Tyres and Service is pumped to share this Michelin Road 5 Tyre Special Offer, available for a limited time only. Using the latest generation rubber compounds, dual-compound technology and a siped tread pattern, the Michelin 5 has out-performed its five main rivals for superior wet weather grip, and also boasts impeccable dry weather grip. The Michelin Road 5 tyres are ideal for those riders looking for greater safety, confidence and riding enjoyment. The following special deal is available for the first two months of 2018 only – get in quick! Northside Motorcycle Tyres and Service is offering a cracking package – until the end of February 2018 – to mark the release of the impressive new Michelin Road 5 tyre range. Front and Rear package deals starting from $435 fitted and balanced. Don’t live in Brisbane? No worries, we’re also offering FREE SHIPPING AUSTRALIA WIDE. Only available until 28 February 2018. The new Michelin Road 5 is available in 11 sizes, including four different sizes for the trail version. Call us on 07 3205 6505 to purchase and book in for your fitting! So what’s so great about the Michelin Road 5? 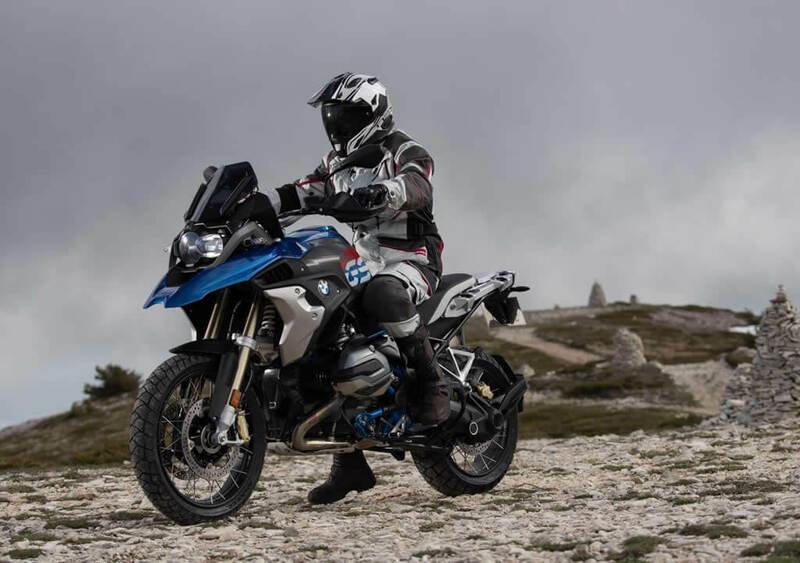 According to Northside Motorcycle Tyres and Service’s Adrian Cash, the Michelin Road 5 is expected to take pole position in the Sport Touring Tyre category. “And with the same Michelin DNA and a combination of three new technologies, performance testing at Michelin HQ against its competitors has indicated that the Michelin Road 5 is expected to dominate the field,” he said. Why choose the Michelin Road 5 tyres? Outstanding grip on dry roads – due to the latest-generation rubber compounds used. Best wet weather grip & strong braking performance, even after 3000 miles and in the wet – owing to the unique sipe tread technology which have been designed to slice through surface water and improve the tyre’s water clearance capacity. Superior stability compared to its main rivals – thanks to revolutionary casing construction that enables superior straight-line and cornering stability. Consistent performance over time, even with wear – a point of difference for Michelin tyres. Call us to book in and take advantage of this special offer on the Michelin Road 5. Northside Motorcycles Tyres and Service is Brisbane’s leading motorcycle service and repair centre located at 1/14 Paisley Drive, Lawnton on Brisbane’s north side. Our major services include log book servicing for all makes and models, suspension upgrades and engine/transmission rebuilds. We stock an extensive range of tyres to suit all motorcycles and terrain (sports / cruisers / adventure / off-road) plus spare parts. Our service centre is a smash repair specialist and can conduct electrical diagnosis and repairs. Call us on 07 3205 6505 or contact us today for advice, service centre bookings or a free quote. New Service Centre and Shop Now Open!